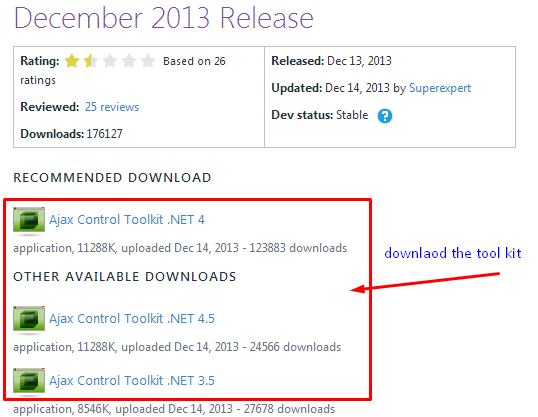 Today’s time ajax control tool kit id most popular Ajax library between asp.net web developers. 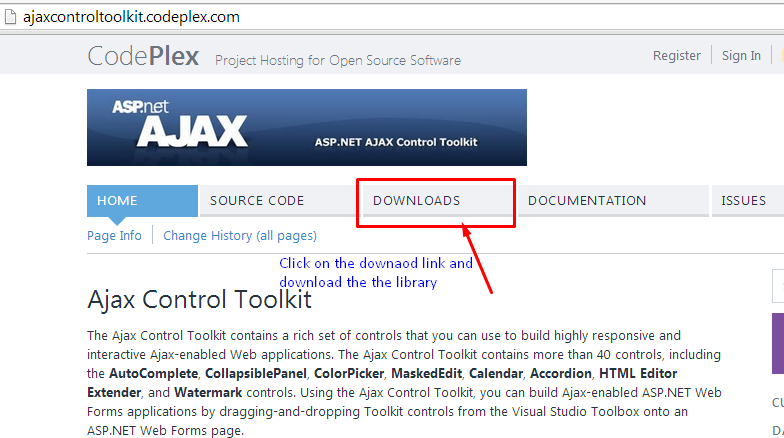 But so many times we always get stuck how to use this library and the most important how to install ajaxcontroltoolkit.dll into your asp.net project. 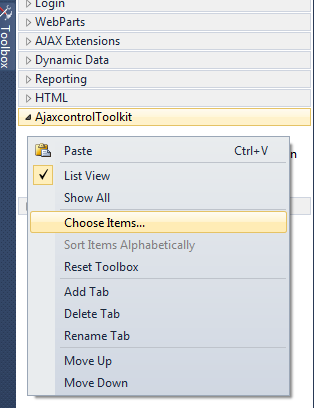 So in this article I will show you how you can install and use the ajaxcontroltoolkit into your asp.net application. 1. Go to http://ajaxcontroltoolkit.codeplex.com/ and download the library. Please check the below screenshot. 2. 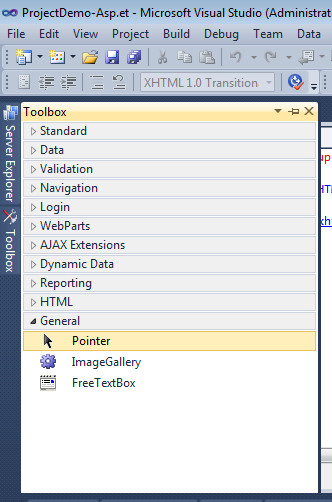 Now extract the library and open your visual studio an open toolbox. 3. 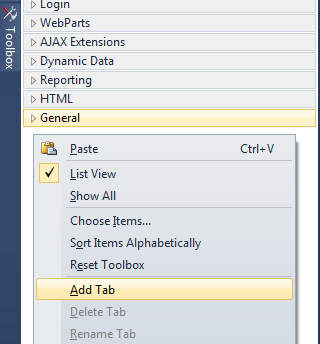 Right click on toolbox and add a tab rename it. 4. 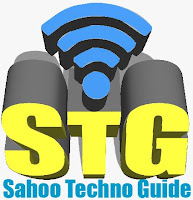 Now right click on the tab and click on Choose item, a window will open in this window you will get a browse button now click on browse button. 5. 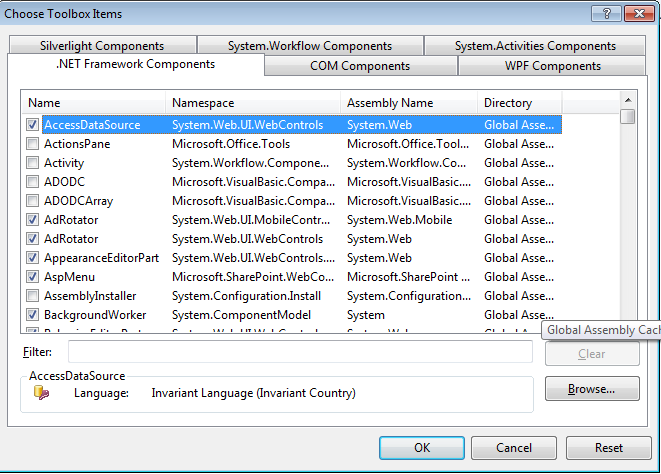 Now locate the library and select the AjaxcontrolToolkit.dll and press ok.
6. 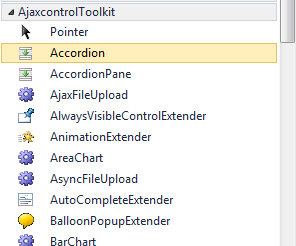 Now we have done just press ok and you will see all the Ajax controls in your tool box. 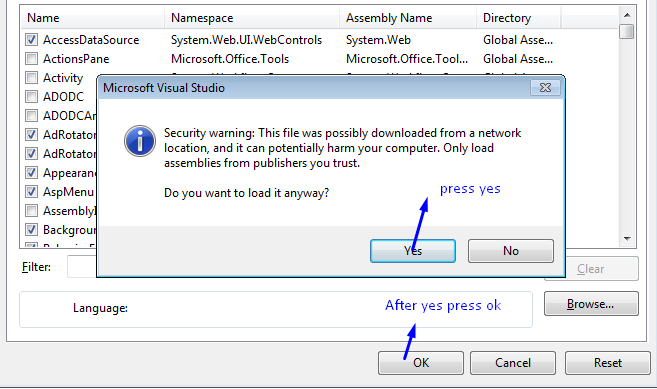 Step 6: You will get warning message , press yes and then click ok.